Nobody does minimalist eyewear quite like Silhouette, which is why you will find their exquisite frames in most of our branches. Since 1964, Silhouette have been designing and making frames unlike any other brand. In the mid-sixties it was fashionable to have large, colourful acetate frames. However, not everyone wanted such an extrovert look, so Silhouette’s original designs were a breath of fresh air, appealing to customers who were looking for the stylishly subtle. Their original frame designs were way ahead of their time, embracing a clean-cut aesthetic with petite, fully rimmed and rectangular designs. The Austrian brand was initially heavily influenced by French fashion, which was the inspiration behind their name as well as their original range of eyewear. As time moves on, Silhouette adapt themselves to stay current within the ever-changing fashions in the optical industry. Not only increasing the size of their lenses to fit the current trends, but also offering fully rimmed range of frames using beautiful colour palettes. The versatility of the brand is what keeps them one of the most popular eyewear designers to date. Evolving their style over more than 50 years, Silhouette has developed its eyewear to be simplistic without compromising on comfort or durability. Everything from screwless hinges to SPX (Silhouette’s very own specially developed polymer composite) goes into the lightweight masterpieces we wear today. Frames that looks so simplistic actually take approximately 18 months to create, with around 80% of all processes being undertaken by hand. Producing the lightest eyewear in the world, Silhouette frames truly become part of you – you’ll barely even notice they’re there! They use lightweight materials such as titanium and SPX, which are both hypo-allergenic and resistant to the wear and tear of everyday life. 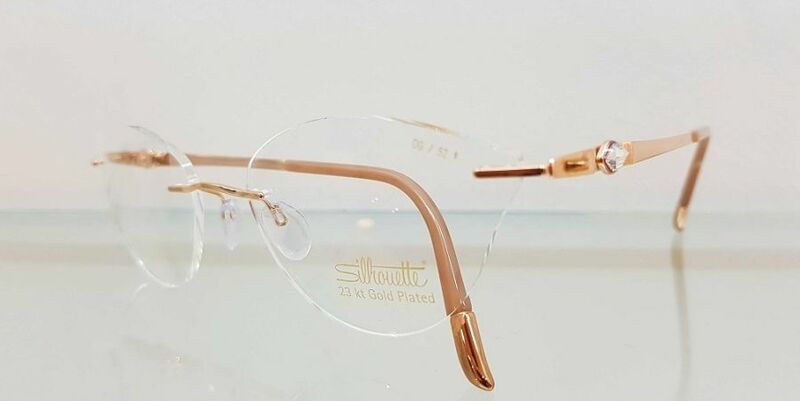 Designed to be long lasting and flexible with as little maintenance as possible, Silhouette frames are a lot tougher than they look – especially titanium. The naturally white metal is normally used for industrial purpose, although the resilient nature and flattering colour of titanium means its popularity is increasing in both jewellery and eyewear. There is a huge amount of character behind the minimalism of Silhouette – with over 20 different lens shapes and a diverse colour range, even their rimless collections can show off your unique taste. 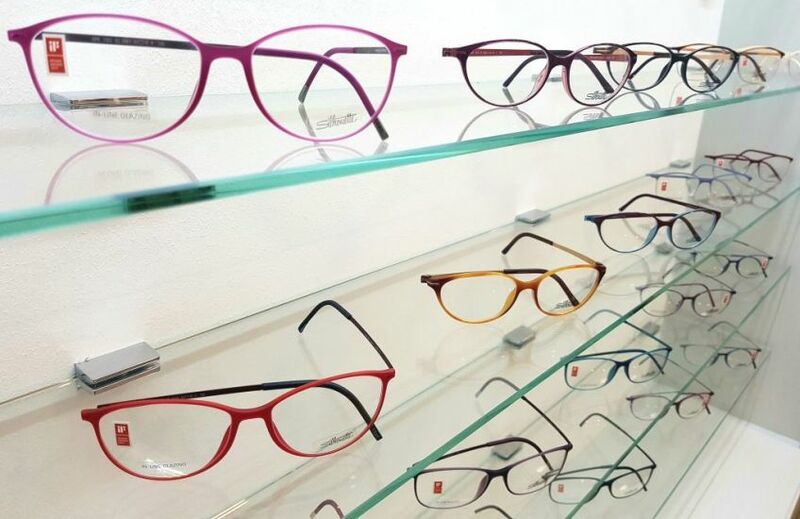 Different sizes, different shapes: you don’t have to be led by current trends to choose your eyewear. Silhouette offer to make your lenses in whatever shape or style that suits you best, letting you express yourself with limitless options. 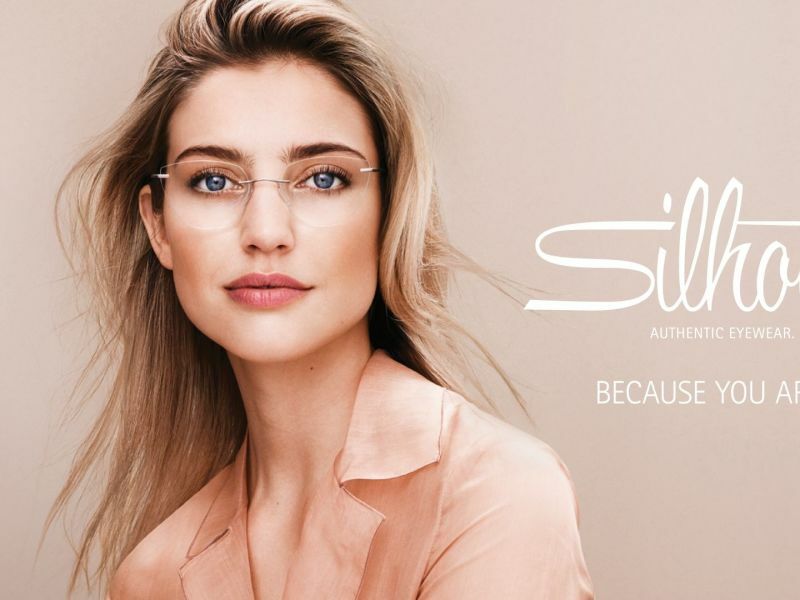 The less-is-more attitude behind Silhouette mean every delicate design touch is accentuated, from the unusual curve of the arms to the perfectly smooth shape of the lenses – even their ready-made eyewear has a bespoke feel to it. Every aspect of Silhouette’s designs are made to embrace your style, ‘because you are unique’. If you’re looking for a little glamour, the Atelier collection is the perfect option. Made in solid white, yellow and rose gold with a sprinkling of precious stones including diamonds, sapphires and rubies, Atelier really is jewellery for your eyes. Atelier literally translates to ‘an artist’s studio’, which wholly summarises the collection. With over 250 steps going into the creation of one pair of glasses, each process is an art. A perfect example is the jewels set into the Atelier collection frames: all painstakingly set by hand by one specialist jeweller in Silhouette’s headquarters in Linz, Austria. Timely, precise and finished to perfection, no corners are cut and no consideration is ignored with the superbly crafted Atelier range. We love Silhouette for their flawless take on contemporary simplicity. In an ocean of brands who take to chunky, large frames as their staple, there’s something refreshing about Silhouette’s uncomplicated take on creating beautiful, original frames. You don’t need bright, energetic colours or heavy frames to make a statement – Silhouette frames make a huge impact with an effortless, timeless look. If you’d like to try beautiful Silhouette frames for yourself, you can visit your local Leightons branch where our fully qualified dispensing opticians will help you find your perfect pair. Alternatively, if you’d like your prescription checked before you start shopping, call us on 0800 40 20 20 or book an eye exam online.